We have appropriate policies in place to ensure that men and women are paid fairly and equally for the same or similar roles. Our data shows that our gender pay gap does not stem from paying men and women differently for the same work, rather the gender pay gap is the result of the different roles in which men and women work within the organisation. 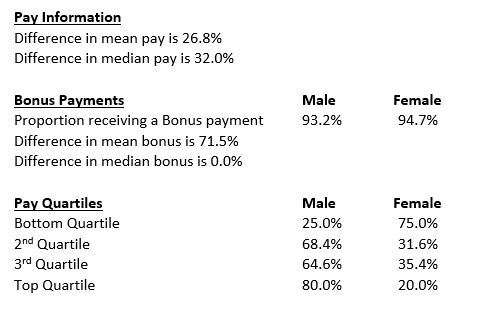 The data contained in this gender pay gap report is calculated based on a snapshot of our UK payroll employees on 5 April 2018.